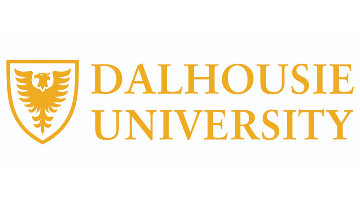 The Department of Psychiatry at Dalhousie University and the Nova Scotia Health Authority (NSHA) Central Zone are seeking a psychiatrist for a full-time clinical and academic staff position in the Nova Scotia Early Psychosis Program (NSEPP), a specialized early intervention program for psychosis based in Halifax. A leader in early intervention care in Canada, the NSEPP (1995) is a multidisciplinary, evidence-based program that aims to promote early detection and optimal, timely health care for persons at risk for, or experiencing, a first episode of psychosis. The program advocates strongly on behalf of patients and their families to be able to maximize outcomes. NSEPP currently has an active patient load of approximately 300 youth and young adults and is also an active member of the provincial Early Psychosis Intervention Nova Scotia (EPINS) network. The successful candidate must hold or be eligible for specialist licensure in Psychiatry with the College of Physicians and Surgeons of Nova Scotia and must be eligible for medical staff privileges with the NSHA. For information on licensure in Nova Scotia please consult the College of Physicians and Surgeons of Nova Scotia website at www.cpsns.ns.ca. Halifax is the largest city in Atlantic Canada, an area known as “Canada’s Ocean Playground.” It is friendly and family-oriented, with a rich diversity of recreational, cultural and education opportunities.